How’s your Christmas tree looking? Do you have enough Star Wars ornaments? Is there even such as thing as “having enough” Star Wars ornaments? Of course not. 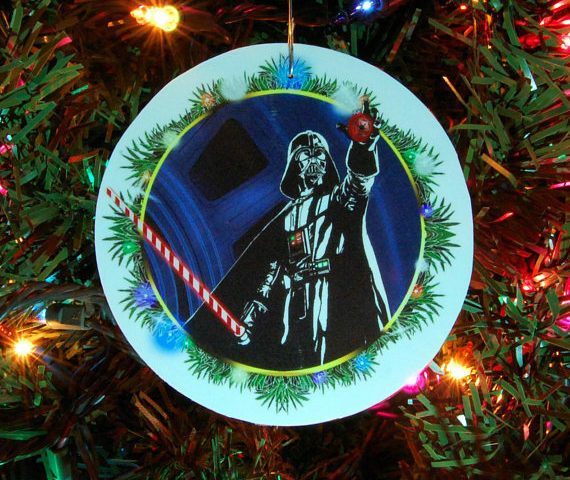 Decorating our trees with favorite Star Wars characters — villains and heroes alike — is what we, as fans, look forward to every year. If you’re looking for unique handmade ornaments to add to your collection, here’s a suggestion — Star Wars ornaments by M. W. Gaiss. Each ornament is made to order, and they are reasonably priced at $7.25 a piece. • Hole punched and hook included. There are also combo deals available if you buy four or seven ornaments. Be sure to visit Zeitgaiss on Etsy and pick up some ornaments today! Even if your tree is full, they’d make great gifts!